Beautifully elegant quilted gray quatrefoil pattern weekender bag for the lady who appreciates style and class. It features a classic Hampton Link design in tones of dove gray and white with solid gray panels as a contrast. 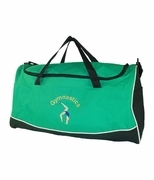 The bag has a spacious compartment secured with a zipper at the top. A slip-in side pocket offers extra storage space for smaller items like keys, a mobile phone or access cards. Two long handles offer a comfortable over-the-shoulder sling. Inside the bag has an adorable matching pouch for your accessories, allowing you to keep make-up and smaller items separate and easily accessible. A must-have for your on-the-go wardrobe. 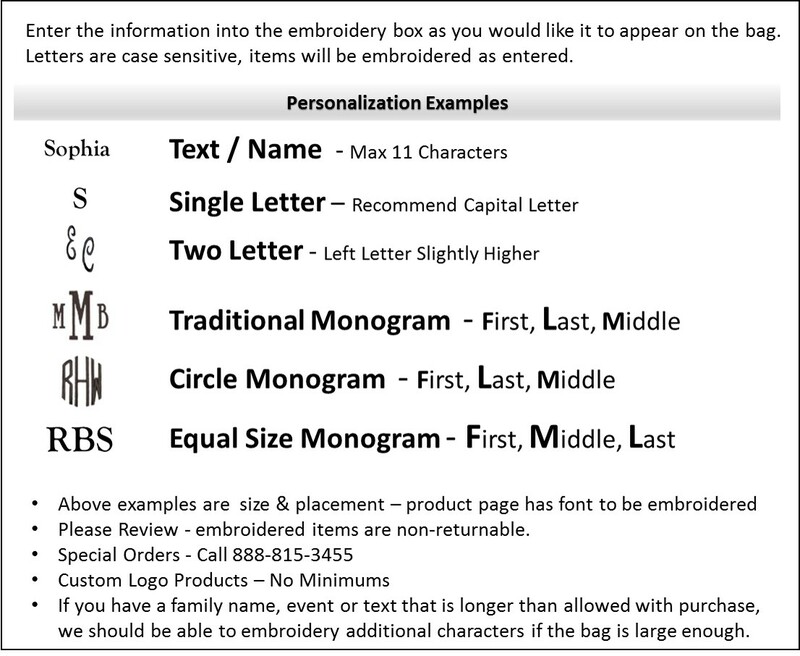 ... Add an extra touch and let us personalize this trendy tote bag for you by embroidering your monogram or name onto the bag. Embroidered quatrefoil tote bags measures 19"W x 13"H x 7" across bottom. Two interior pockets, large zippered top opening. Accessory pouch is a easy cleam polyester, 8" x 6.5" x 3" half moon syle with zip closure. I needed a small overnight bag for when I travel so I don't have to drag huge pieces of luggage around. I stumbled across this website and found this cute little thing and it's way better in person and shipping was fast. Definitely will be ordering again!!!! I bought three of these bags in different colors for my sisters for their birthdays. Two of them travel a lot and these are perfect for overnight or weekend travel. Also would make a great beach bag. They definitely met and exceeded my expectations. May have to order one for myself! I bought this bag for my 6 year old for Christmas! She is going to LOVE it!! Just adorable and the perfect size for a little girl!